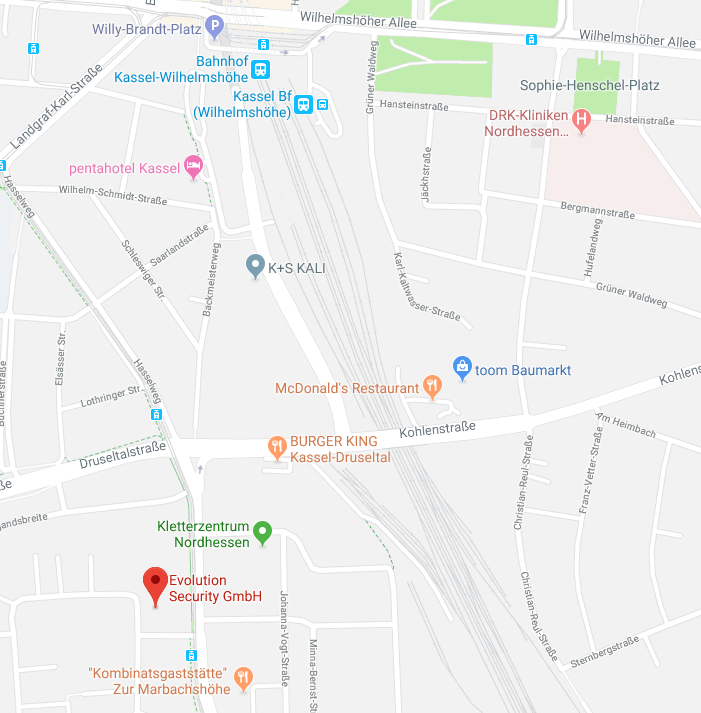 Our local security office is located in Kassel, Hessen - Germany. The Evolution Security GmbH pentest- & apt core research -team is a trusted source for big companies, instituts or the industry. We grant secrecy, privacy, reliability & confidentiality to all of our clients & partners. Our services are offered from germany to the public european industry & different international parties. The Evolution Security GmbH team is 24/7h available for customers, members and of course to important clients. The administration is available as first representative of the security company and the first instance to customers or clients. Contact our representatives only with a special reason, for security job offers, an invitation to conference/event, important customer and client requests. Feel free to read the service documents via rss xml feed or contact us. This website is a project of the "Evolution-Security GmbH" and was founded in 1997 in Europe. The official security company has been registered in 2008 and became a GmbH in 2014. Questions about the content, pentest offers, press, commercials or partnerships? Feel free to contact our cooperative company support team to find a solution or to receive an answer. Questions regarding articles, advisories or upcoming vulnerabilities to the core research team. Our office is available for security meetings, magazine/press interviews, customers and clients. To make an appointment, please use the following contact information or send us a message.